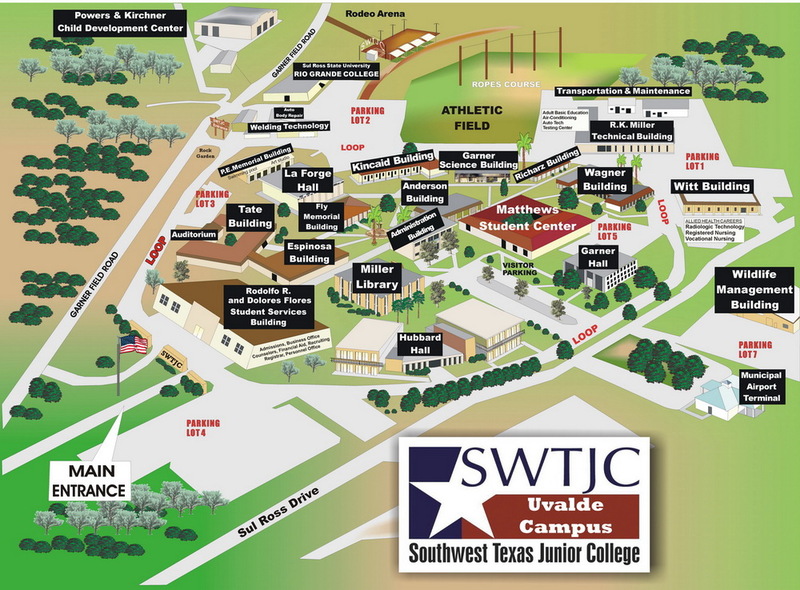 The 34th Annual Southwest Texas Junior College Turkey Trot will be held on Saturday, November 17, 2018, at the Uvalde SWTJC campus. All events start and finish at the SWTJC fountain area located behind the Administration Building (Heart of the SWTJC Uvalde Campus). Flat fast course! Showers and dressing areas available. T-shirts to all participants. Walkers Welcome! Race Day Registration. 5K & 10K Run/Walk 8:00 a.m.
1 Mile Kids Run 9:45 a.m. Kids Fun Run 10:00 a.m.
5K Run & Walk & 10K Out and back flat course, starting and finishing at the SWTJC fountain. 1 Mile Kids Run: Out and back flat course, starting and finishing at the SWTJC fountain. 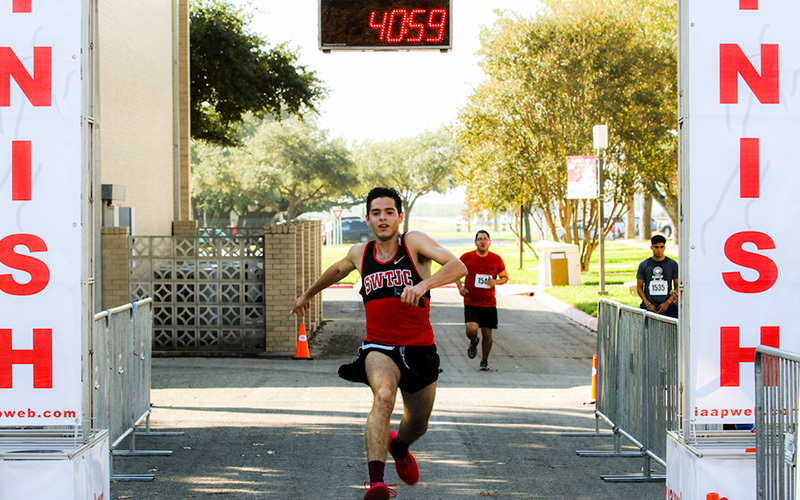 Kids Fun Run: One loop course around SWTJC Administration Parking lot. Race site: Southwest Texas Junior College: From Hwy 90 turn (left if you are coming from San Antonio) (Right if you are coming from Del Rio) onto Farm to Market Rd 1574 (Ham Lane) 1 mile then turn left at Farm to Market Rd 1023 (Garner Field Rd). Destination will be on your left. To volunteer please contact Landra Fowler at llfowler@swtjc.eduor (830) 591-7241. Please include name, contact information and shirt size. Becoming a volunteer offers help to ensure that all athletes have the safest race possible. You also gain insight into the behind the scenes mechanics of a road race. This information can be a valuable tool for your next race. 5K: Overall Male/Female. Finisher Medals to Athletes | Age division: (12 & under, 13-14, 15-19, 20-24, 25-29, 30-34, 35-39, 40-44, 45-49, 50-54, 55-59, 60-64, 65-69, 70 & up. 1 Mile Kids Run: Overall Male/Female. Finisher Medals to Athletes | 6 & under, 7-8, 9-10, 11-12. Age group awards will be based on chip time; awards for overall winners will be based on gun time.